For more information on these conditions and how to make a claim for damages, please click here. It is estimated that there are more than 4,500 people in the UK who die each year from an asbestos-related disease. A large number of these will be attributable to mesothelioma. In 2012, 2013, and 2014, the number of deaths due to mesothelioma in each year exceeded 2,500, and it is predicted that these fatality figures will continue to stay around 2,500 for the remainder of the decade. Research suggests that the number of asbestos-related lung cancer deaths are in a similar range, with more than 2,000 cases caused by asbestos exposure each year. Sadly, Scotland's heritage of heavy industry, shipbuilding and construction means that many former workers in these trades are now suffering the terrible legacy of asbestos. Where once it was considered a miracle material, we now know it as a killer and men and women all over the UK are suffering as a result. Inhaling the deadly fibres is the primary cause of pleural mesothelioma, as well as other debilitating conditions, However, even though the dangers were recognised several decades ago, many employers failed to keep their workers safe, through training or by the provision of safety equipment. The toll on human health has been catastrophic. Do you need to speak to an asbestos disease solicitor? 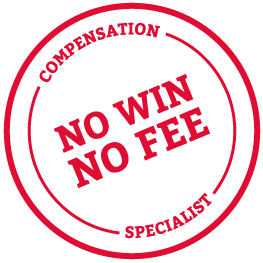 If you have been exposed to asbestos while working and are suffering from an asbestos-related disease, call Thompsons No Win No Fee specialists on 0800 0891331 or complete the claim form below. Our asbestos claim lawyers will help you decide whether or not to make a claim. The call is free and there is no obligation to take things further.